Do you remember the Gator-aid slogan, “Image is nothing. Thirst is everything.”? When we start out in life, we all look to images as examples of what we might aspire to. Some stick and some don’t. In these early stages, image seems like everything because it is all we have. The image is the example of what we hope to become. However, once we find an image that fits us, our thirst to achieve what we desire determines if we get stuck on image or move forward to become something of substance. My Dad, Mike MacLean, helped shape me. 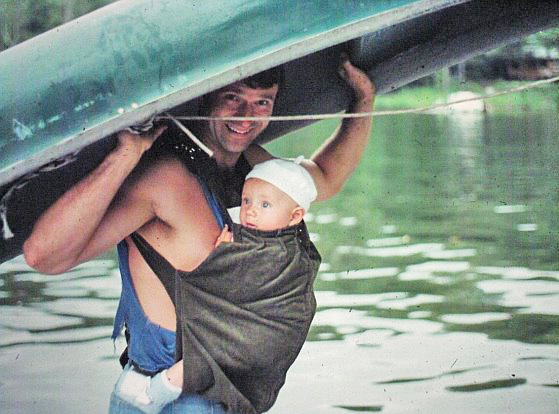 Looking at the kind of person my father has been in my life, being strong and full of adventure was the first image I had of a man. Even as a baby I was placed in the middle of the action. I remember my first experience with this. 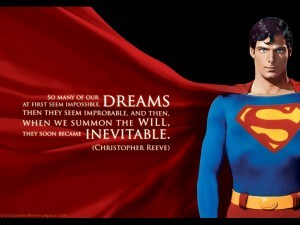 It was when ‘Superman: The Movie’ first hit theaters, starring Christopher Reeve. I must have been less than 3 years old. I know it seems like a stretch, remembering that early stage of life, but the truth is that I still remember the red curtains going up for my first movie experience. 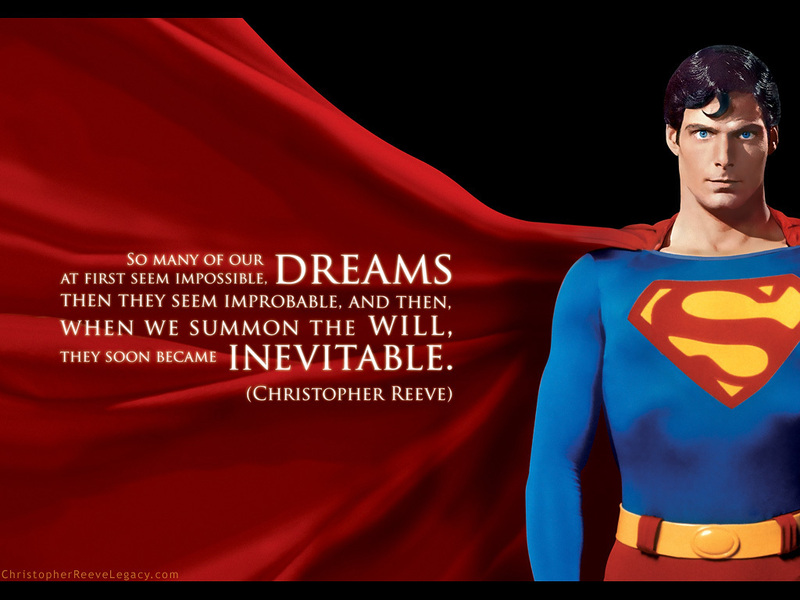 When it was over, I had an idea of what I wanted to become and I wanted to become Superman. An interest in both acting and bodybuilding began to grow for Sebastian when he first saw the Superman movie, featuring Christopher Reeve. Despite my Superman pajamas and a cape, turning the whole ‘Superman into reality’ idea didn’t hold. After many failed flights off my parent’s front porch I finally let that dream go and began to gravitate toward the images of Sylvester Stallone and Arnold Schwarzenegger, watching films like ‘First Blood’ and ‘Commando’. These images were ones that I realized could be built with some heavy iron, combined with a good story, and some acting skill, such that I could bring nearly any character to life. 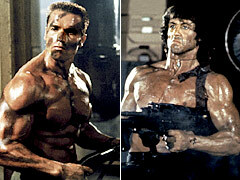 Seeing Arnold and Stallone in action inspired direction for Sebastian. When I was five, my parents moved us away from Toronto and we settled in the little east coast village of Tracy, New Brunswick. As a result, I didn’t live in a mecca of film production or physique development. I lived in a farm house, far away from the movie business. Even so, I decided to do whatever I could to work on the first part of that image. My dad was already a man of muscle and had shown me a number of ways to start getting in shape. Beginning when I was seven years old, my dad’s daily push-up routine became something I would copy regularly. For my eleventh birthday he got me some weights and put them in the woodshed. We started working out together every night. In the winter the temperature would drop to minus 40 degrees at times and we still exercised in snow suits, hands sometimes sticking to the barbells. The first stage of making my image into substance had begun. The country home in Tracy, New Brunswick, was where Sebastian MacLean began his journey in crafting an image after the characters he hoped to play in film. By 14 he was ready to try his first competition. On the acting front, I got involved in small theater skits at school or in summer camps. Opportunities were limited, but I did whatever might stretch me toward my goals. Eventually I decided to compete in bodybuilding, with the hope that becoming a champion would make it easier to reach a place with more movie opportunities. Again I became thirsty for results, joining a gym miles from my home and in a completely different town from where I attended high school. For 3 years, I hitchhiked 10 miles to the gym from my school and then another 25 miles home at night. Even during freezing snow storms, at times standing under a single street light on a country road, I relished the opportunity to fight the distance and the elements in order to make my chosen image a reality. My efforts in film progressed a little more at the time as well. I found a number of small filmmakers in the city of Fredericton where I trained. It wasn’t Hollywood, but it was a chance to learn more and develop something I needed. It was in this community, at the New Brunswick Filmmaker’s Cooperative, that I got my first small film roles. Though these were not the action roles I had aimed for, they provided an opportunity to learn more about being an actor. Meanwhile, I pushed forward in the gym and over the years I found my successes in bodybuilding, winning competitions, and I began to believe that maybe I had turned image into substance the way other action actors had done. This was only part of it though and if I didn’t take another step I knew the ultimate image I had been chasing wouldn’t take on any substance in my life. 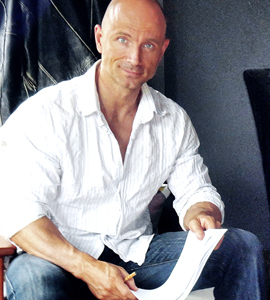 Sebastian MacLean had developed the conditioning he needed for the films roles he wanted. However, he was challenged to dig deeper into the film business. The two tracks of physical development and film work needed to come together. Rather than simply hope for the right film role to combine physicality with acting, I was challenged by a mentor, an Academy Award winning producer named Bill Vince (William Vince). It was Bill that told me I needed to broaden my efforts and begin learning how to produce film, not just act in it. As a result, Bill offered to take me under his wing and get me working behind the camera. Sebastian MacLean working in film. In time, my friends at the filmmaker’s cooperative convinced me it was time to make my own film. I agreed and dove into making the feature documentary ‘Facing Goliath’, covering my efforts to both compete at the national level, while guiding a middle aged friend into competition as his eyesight faded. The film went on to air in over 160 countries and was generously promoted through the IFBB (International Federation Of Body Building), with the help of its President, Ben Weider. However, the success of that project inflated the physical part of my identity and the image I was crafting into reality shifted away from fictional film, as public attention fell more heavily on my physique ambitions. It wasn’t that this was a bad thing, but it did take time for me to see what was happening, so I didn’t get boxed into that one area of my life. Sebastian MacLean in Facing Goliath. As a result of producing Facing Goliath, I decided to produce a TV series, called Body Quest, about how others focus on getting in shape and overcome various obstacles. While hosting that series, I was also involved in co-owning a weight loss business, called INCHES Weight Loss. 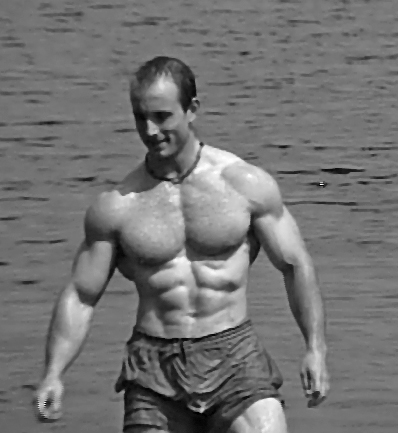 Before I knew it, a few years had gone by and it became clear that my image revolved more around the world of weight loss and bodybuilding than it did around the movie business. Although I was (and always will be) proud of my bodybuilding experience, I knew I needed to make some adjustments in order to use those efforts for the purpose I had originally intended. The Body Quest TV series ended and I sold my portion of the weight loss company. The adjustment wasn’t easy, as I had become the father of two kids by then and rebooting my film efforts in a bigger city was no longer a simple task. I decided to try a method that had worked to make me successful in bodybuilding, which was to start small and see if I could build something bigger over time. However, where bodybuilding is a sport that can be done alone, film production is not. Rather than move, I worked to build a video production company, called PixaTale Media, with another business partner on the east coast of Canada. For the next few years we had growing success, but the pace of growth was too slow without a massive industry. I was producing videos, helping films coming into the area, and acting when I could. The problem was that my physical conditioning began to slide with the work load and stress of developing business in an area that was not a busy film center. I was learning a lot of vital skills in business and marketing, but after a while I saw that I was neither being an actor, nor was I any longer a physical example of the action characters I wanted to develop. I was unable to give much time to even small fictional film projects being shot nearby. The market slowed down eventually and that was when I realized I had to make a bigger move, rebuild physically and place myself more fully in the path of the acting roles I had been aiming for. So my family up and moved to Toronto and I began the process of working with larger numbers of people, working on bigger projects. It took a while to get a foundation laid. The first year in Toronto’s film industry didn’t afford me the time and resources to get my physical conditioning back. That year was more about survival and just getting to film sets. Luckily I was able to work on a number of established TV shows and gain more credibility in the acting world again. 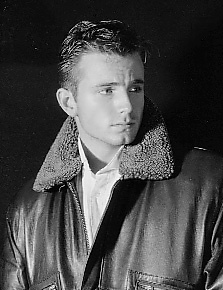 Sebastian MacLean has done numerous TV show appearances. The second year my family grew by one more – a new son. Now with a family of three kids, I began the process of physical transformation. Thanks to my life in bodybuilding, muscle memory and a better diet clicked for me. I found myself back in shape and once again bringing the two elements of acting and physique together again. The more focused things are the faster things develop around a brand. I dove into my script writing and have created/tailored productions for my career that have begun to take off. One of these is a TV series currently being developed in LA by two seasoned industry producers. Another project, an independent feature film, is one that I’ve co-written with a respected Hollywood screenwriter. This film is now in the development process and slated to film in 2016. Despite my now being a working actor on various TV series, there is much ground to cover still. In the end the effort pays off, especially when it’s clear that success is not just a destination, but a journey… a process. Enjoying every step you can is vital. In the beginning, an image of what we want is all there is, but by doing the work of making image into substance we demonstrate the level of our thirst for what we’re after. There are bumps along the way and it’s important not to lose sight of why we are doing what we are doing. If that happens, we can get side tracked. Just remember that a course correction can always be made. Our thirst will drive our actions, putting us back in control of the image we make of our dreams. Okay, so it took me a while to get this last part up. Things have been busy and getting this last video out took longer than expected. That said, this video covers some valuable information about the need to build a reputable network of contacts, if you want to create a personal brand people will pay money to see and make films with budgets that are bigger than whatever you can squeeze onto your credit card. So there you have it. If you know of people with skills in the industry, get them excited about what you are doing or find material that does excite them. If you don’t know anyone, get out there and make some friends in the places where the right people are hanging out. Don’t limit yourself to people who are high up the food chain though, because they aren’t always easy to meet. You can have just as much success, if not more, by meeting people who may not have a lot of influence, but are well connected. Make sure you get to know what people are good at and never under value a skill set. It is true that a hair stylist who works on studio films isn’t going to get your film made, but they can be a valuable part of your crew list. Their experience counts when it comes to how seriously you are taking that aspect of your own production. Not only that, but it is people like these that may very well have connections that can get your film made. Now that we’ve finished with this little Hollywood excursion, I need to jump into some script reviews and maybe even start work on my next writing project. I’ll let you know how that’s going a little later. 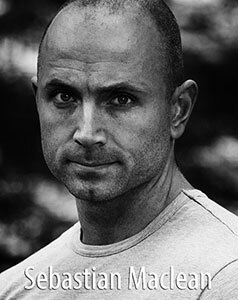 I'm Sebastian Maclean, a Canadian based actor / producer / athelete. Join me as I guide you to learn about Film Industry Branding. Sebastian MacLean is a Canadian based actor/producer. In addition to acting in a variety of diverse film roles, he has produced an internationally televised documentary film Facing Goliath and a health related TV series Body Quest. He is currently working on developing action drama projects for both TV and film. ©2019 SebastianMacLean.com All rights reserved.